This is the second in a series of excerpts from Allinio’s white paper Net-Centric Marketing & Information Superiority. 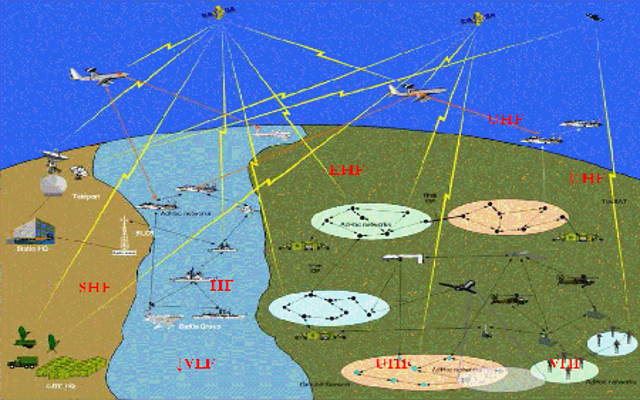 C4ISR stands for “Command, Control, Communications, Computing, Intelligence, Surveillance, and Reconnaissance” and derives from earlier acronyms describing components of this concept. More than just another military acronym, C4ISR is the strategic and tactical leveraging of technology to create speed, accuracy, and efficiency in the battlefield, especially in the context of joint operations between the various armed services, and U.S. allies. C4ISR is a principle that has been evolving and is credited to US Navy Vice Admiral Arthur Cebrowski and John Garstka, who originated the notion for the United States military in the 1990s. There are other pioneers who helped define Network-Centric Warfare, most notably David S. Alberts and Frederick P. Stein, who worked with Garstka at the US Department of Defense C4ISR Cooperative Research Program and wrote a comprehensive book, Network Centric Warfare – Developing and Leveraging Information Superiority, at the end of the 20th Century. Ironically, in this pivotal work, they cite examples of private sector accomplishments to promote their applications in the defense realm. 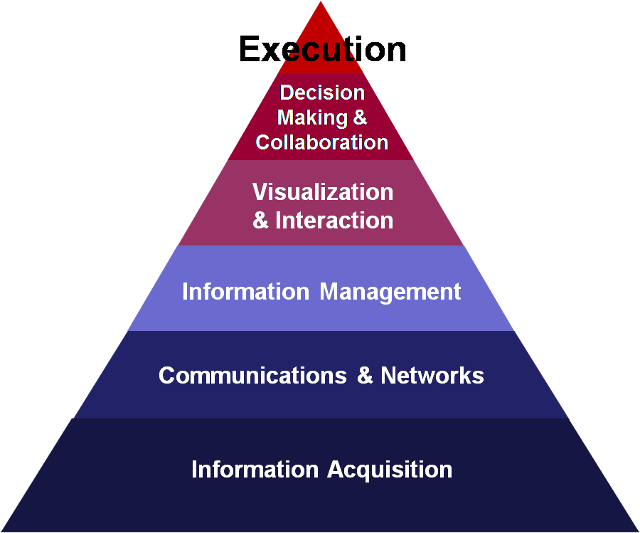 In simplest terms as illustrated above in Figure 1, it encompasses the gathering of data, the processing of that data, and the distribution of that data to various entities that should act upon that data, all under a centralized authority. C4ISR was embraced by U.S. Secretary of Defense Donald Rumsfeld and incorporated into the “Office of Force Transformation” at the Pentagon, which was chartered to lead the way in facilitating the adoption of advanced technologies that would make the United States overwhelmingly superior in its fighting capability. In addition to the historical note that Rumsfeld was a controversial figure in the George W. Bush administration, the concept of C4ISR has also been somewhat controversial in that some policy experts and military leaders believed that too great a reliance on technology created risk – in that hardware, software, and communications platforms all had vulnerabilities that if operated improperly or exploited by the enemy could render the war fighter helpless. Furthermore, the acronym itself is rumored not to have originated by the military, but ironically by the defense contractors who wanted to create a problem for their technically advanced solutions to address. Essentially, then, some detractors might say that C4ISR is nothing more than a buzzword with no substance and was shoved down the Department of Defense’s throat. However, the conventional wisdom that has emerged is that C4ISR is a concept of organizing and operating that cannot be ignored and is essential in a global theater, especially with the asymmetrical threats prevalent today. Along with this acronym is a phrase called “network centric warfare,” “net-centric warfare,” or “net centricity” emphasizing the imperative of efficiently linking a wide array of stakeholders for coordinated operations through the best technology. “Sensor to Shooter” is another phrase that implies: 1. The data collecting device, whether it be a satellite utilizing some sort of remote sensing technology, or something as innovative as nano-dust spread in a field that detects movement of metal objects; 2. The intermediaries that transport the gathered data securely over a network, process the data and determine who needs to know the information derived from that data and relays it securely to them; and 3. The “Boots on the Ground” that engage the target or the vessel that fires the missile at the target as a result of receiving that data. As shown in Figure 2, the flow of data through the organization results in a sequence of operations that ultimately leads to a decision resulting in an action, whether executed by unit such as a vessel or even an individual such as a sniper. This is the second in a series of excerpts from the Allinio’s white paper Net-Centric Marketing & Information Superiority. Click here to read the first excerpt online. Stay tuned to this blog for the next excerpt.